This is a 12-pack of sheet masks. Have a fun night in with your best friends and pamper yourselves to the max! 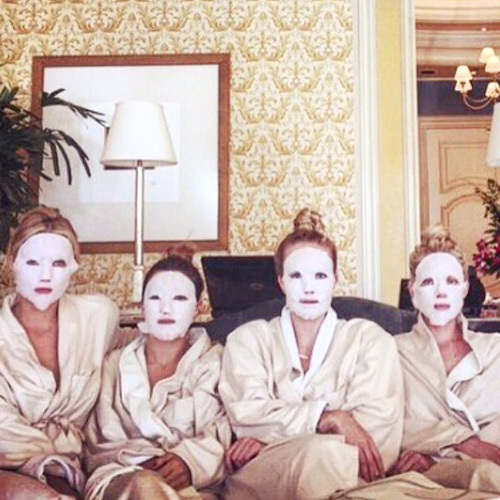 Sheet masks are KEY… along with a good movie, snacks, chocolate & wine. We’ll send you a nice variety of sheet masks for all types of skin concerns and boosting ingredients that will allow everyone to have their choice of mask. Cheers!